The Royalty Cat Tree (Taupe) is pat of the hugely popular RHR Quality cat tree range which has been made specifically for larger breeds who require a stronger and sturdy construction to be able to handle the extra weight and strength.. This stunning cat tree stands as a majestic height of 155 cm tall so that your feline can climb to the very top level where a cosy bed awaits them and they can keep an eye on their surroundings without feeling like they are missing out on the action. A 5 cm quilted cushion is included and can be attached to the bedding area with Velcro to ensure no slippage. 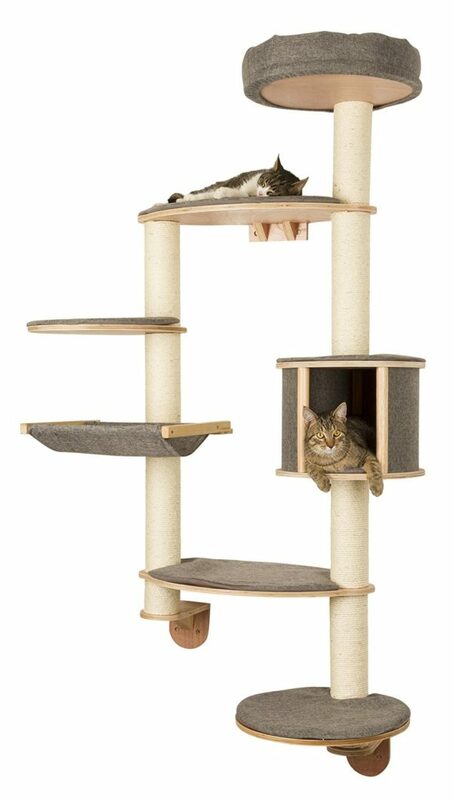 With two stepping stone platforms which can be positioned as you wish, your adventurous feline will absolutely love exploring everything that the Royalty Cat Tree (Taupe) has to offer. The high-quality plush material has been carefully glued in place to ensure that it remains in place at all times. If you are looking to invest in a high-quality piece of cat furniture that will never need to be replaced, look no further than the Royalty Cat Tree (Taupe)! Bottom plate: 60cm x 60cm and 4 cm thick. My ragdoll cat loves this so much. Brilliant for bigger cat breeds.